My Author’s Advance Copy of February 2018 TRAINS Arrived. 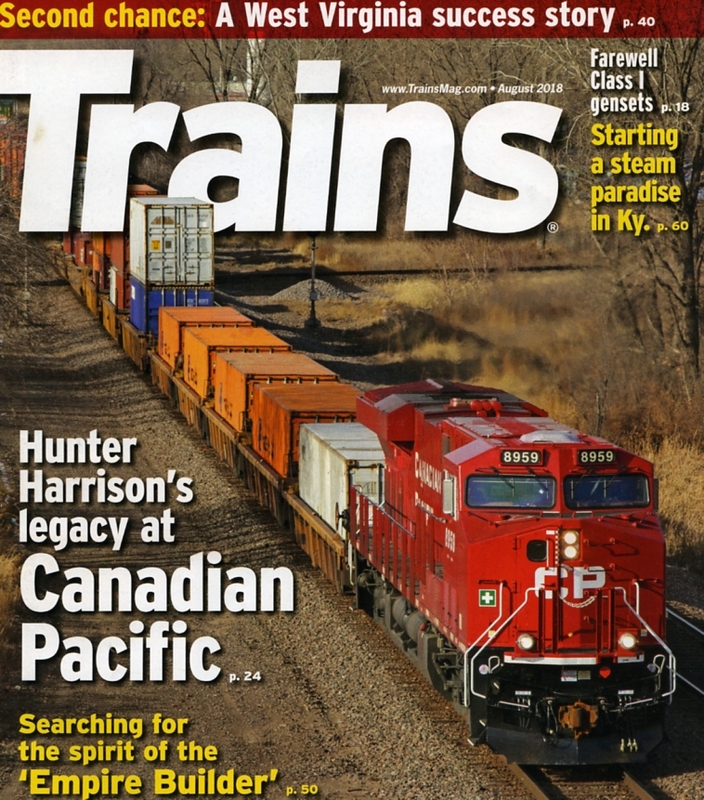 Pages 18 and 19 feature my column, in which I discuss future freight railroads and their opportunities. This the second issue that features the new redesigned image. January 2019 TRAINS Features my John Gruber Tribute. Yesterday I received my author’s advance copy of Jan 2019 TRAINS Magazine. 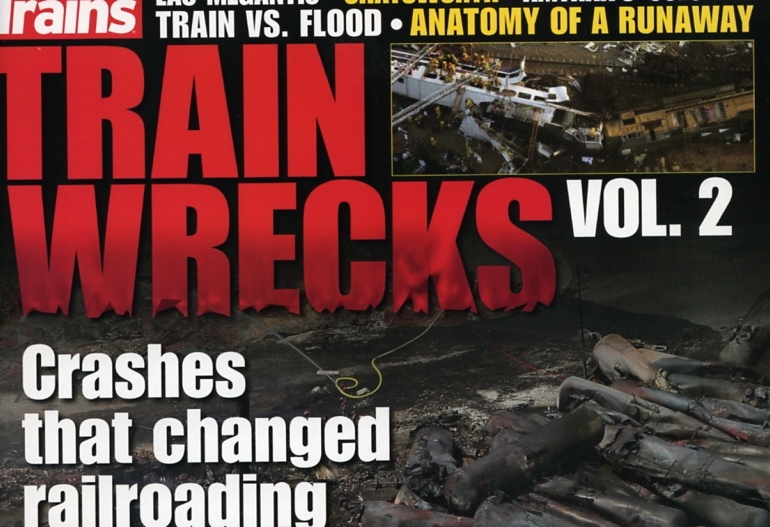 This is the first issue of the new redesigned Trains. This is an excellent issue and I hope everyone has a chance to enjoy it. 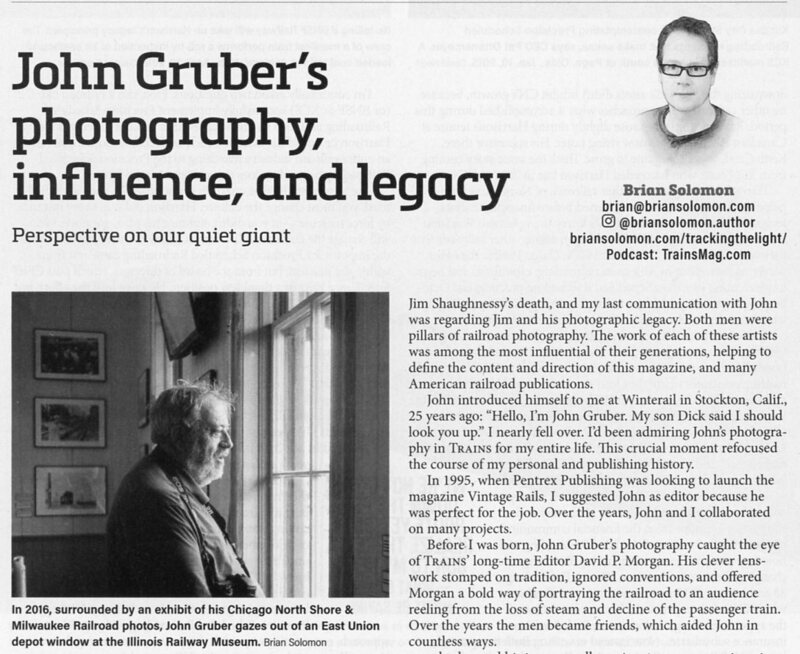 I dedicated my column to my friend John Gruber who passed away in October. It’s a sad irony that John was with me at Kalmbach Media the day my new portrait was taken for the magazine’s redesign. 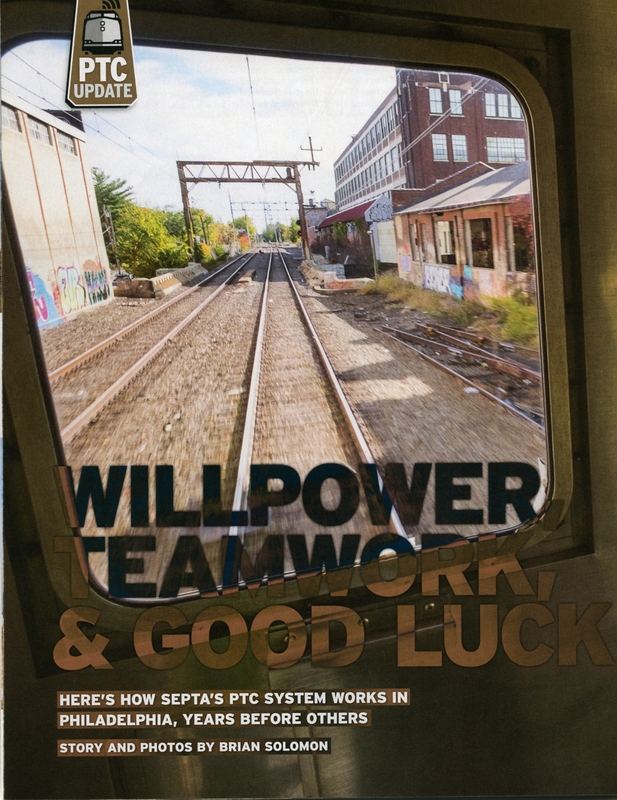 Cover of January 2019 Trains. Here’s an excerpt of my January 2019 column. Click the link above to read the review. To buy the book from Kalmbach Publishing click HERE. The cover of my new book features the medieval tower at Oberwesel, Germany. 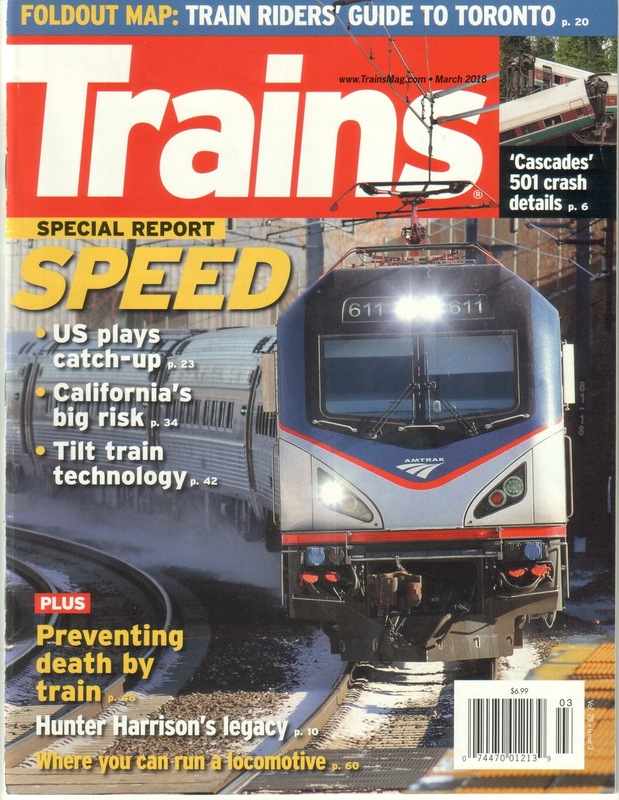 March 2018 Trains Magazine Features My Photo of Amtrak 611. 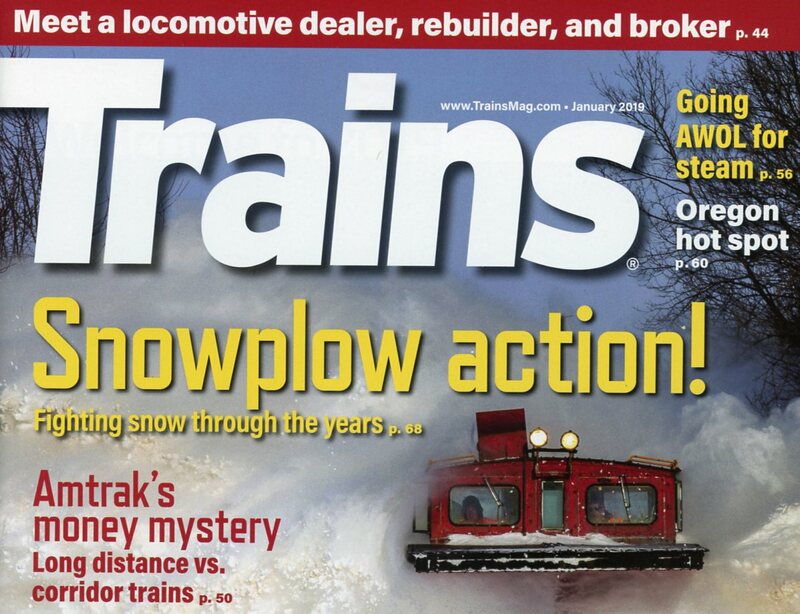 I was pleased to learn the my wintery photo of Amtrak ACS-64 611 was selected for the cover of the March 2018 issue of Trains Magazine. Using my Canon EOS 7D and a telephoto lens, I exposed this view on a visit to Branford, Connecticut with Patrick Yough just over three years ago. On January 10, 2015, Amtrak ACS-64 No. 611 leads train 161 westward at Branford, Connecticut. This is the cover of the January 2018 Trains. My column appears on page 17. 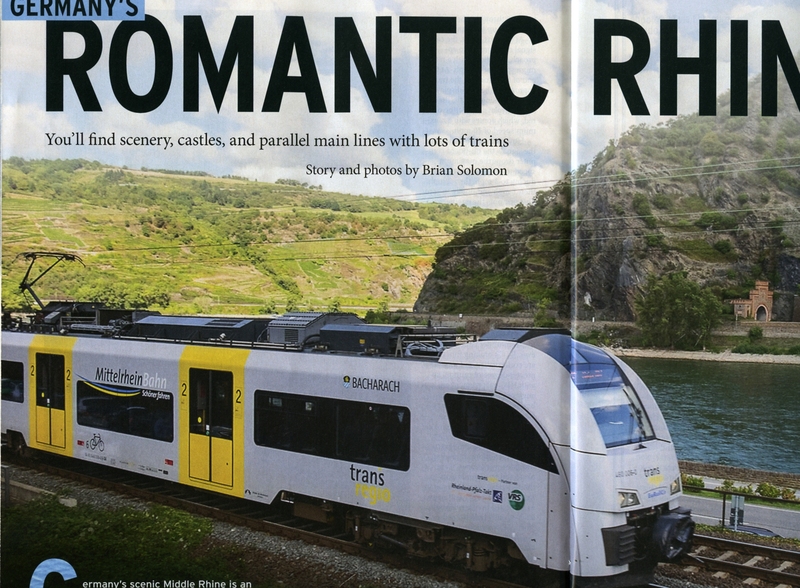 Yesterday I received my copy of the January 2018 Trains Magazine that features my most recent column. Using my Lumix LX7, I made the photo illustrating my text on-board an SNCF TGV high-speed service from Brussels to Lille back in April 2017. A photo of my iPhone displaying my E-Ticket is this months illustration. Note Tracking the Light business card to the left of the phone. Below is a view of the same train at sunrise in Brussels prior to departure. 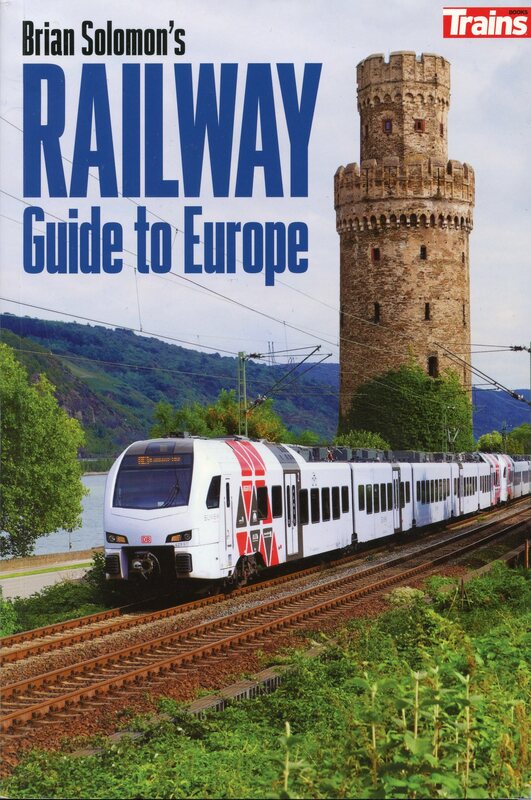 Although unstated in the article, this was part of a trip across Europe during my research for my up-coming book on European Railway travel. Exposed with my Lumix LX7; ISO 80 f1.8 at 1/13 of a second handheld at Brussels Midi. Photo ©Brian Solomon 2017. 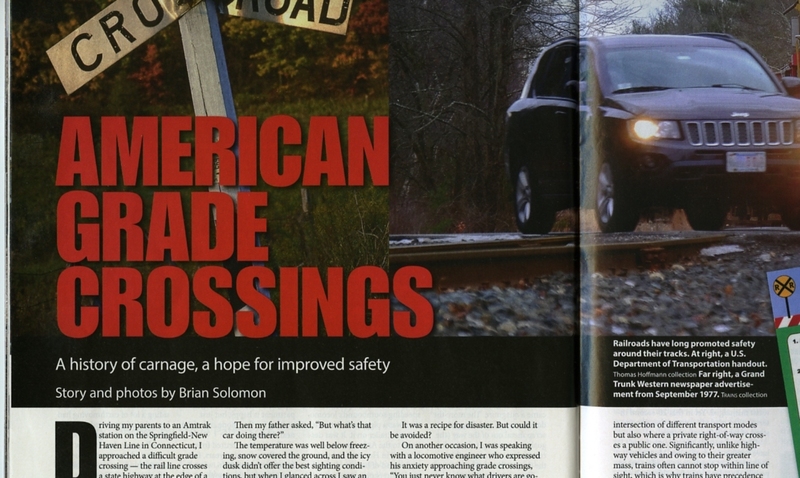 July 2017 Trains Magazine features Brian Solomon’s column on pages 16-17. In July 2017 TRAINS, I look back at the effects and consequences of the Beeching Era on British Railways. Take a look on pages 16-17! I’ve illustrated this discussion with a photo I made on the preserved Great Central Railway in 2004. This was part of a sequence exposed on Fujichrome Sensia II (ISO100) color slide film (Tracking the Light tie-in). 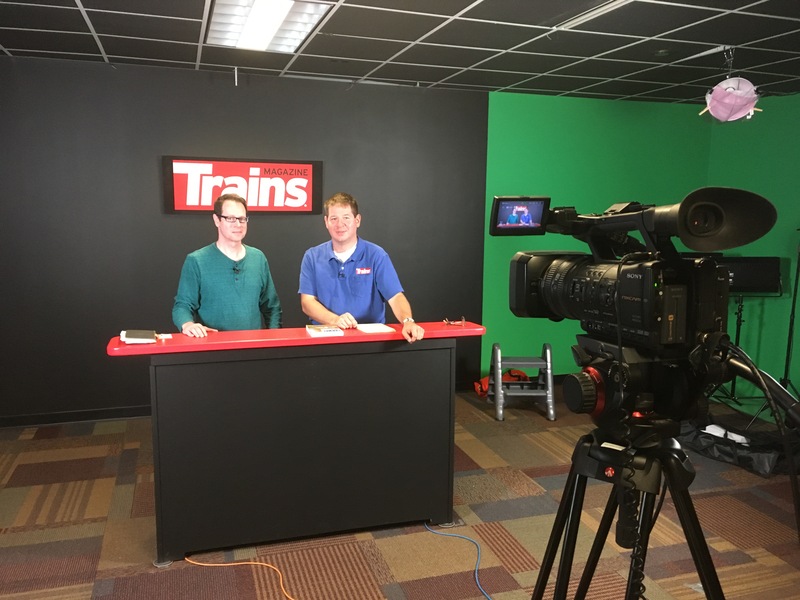 It was a pleasant surprise for me this morning when I checked Facebook and learned that Trains Magazine’s Brian Schmidt has nominated me as Mr. Railroad in the magazine’s on-line blog Train of Thought. This is a real honor and thought I’d pass it on to Tracking the Light’s readers. 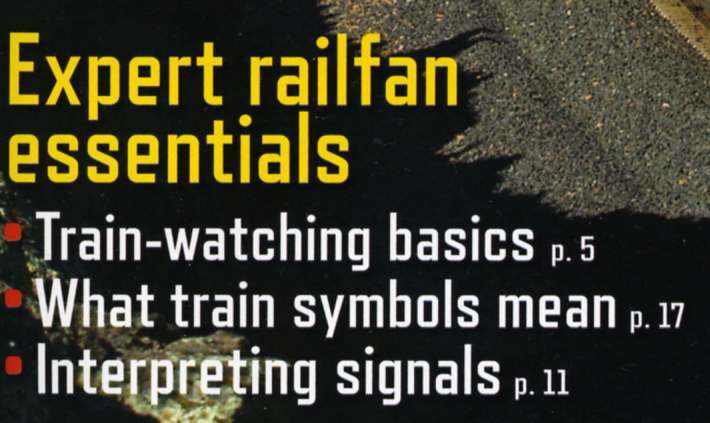 I guess all those hours scouring libraries and making observations trackside has finally caught a bit of notice. 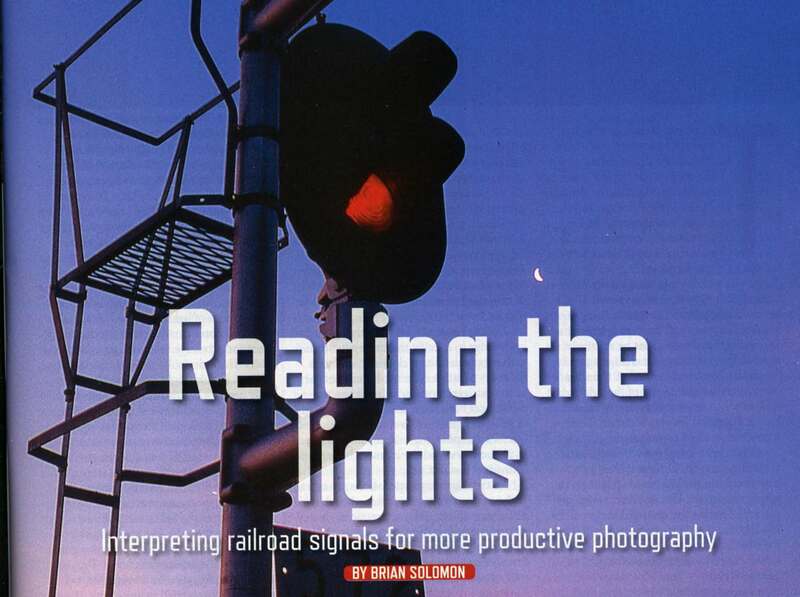 Tracking the Light is Brian Solomon’s Daily Blog focused on Railway Photography. I just received my author’s advanced copy of the March 2017 Trains Magazine that features my latest column: ‘Striving for speed in the real world’. This issue should hit the stands in the coming weeks! I look forward to your feedback and comments. See page 18 of the March 2017 issue of Trains Magazine for my full article. 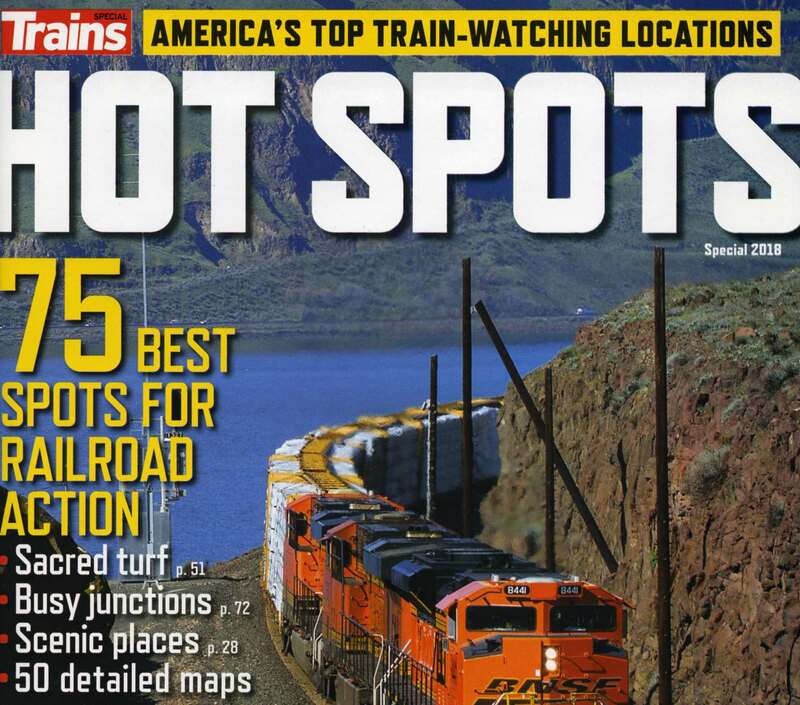 I’ll be Writing for Trains Magazine. 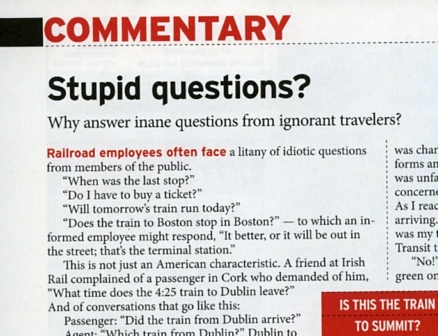 Beginning with the February 2017 issue (expected toward the end of December), I’ll be featured in a regular opinion column for Trains Magazine. 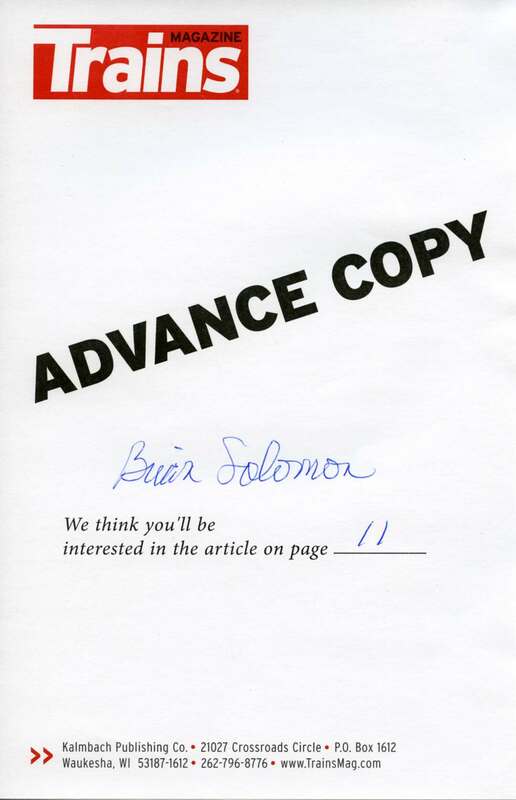 The idea for a regular Brian Solomon column came about as result of my conversations with Editor Jim Wrinn and Assistant Editor Brian Schmidt who were intrigued by my comparisons between European and North American railroading. Unlike Tracking the Light, which is focused largely on photography, my Trains columns will be aimed at the railroad industry, its operations and practices. I’ll be writing narratives that draw from my knowledge of history and technology. My hope to is to both entertain and inform, while also offering unusual perspectives on railroads. 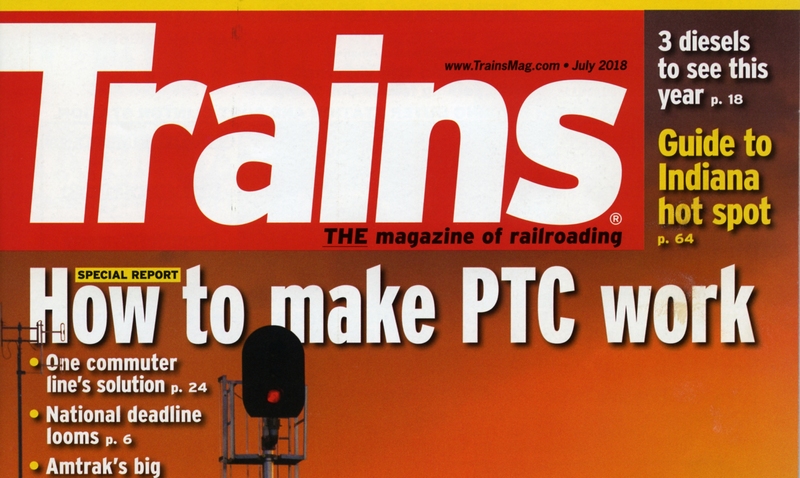 I’ve been contributing to Trains Magazine since 1984. My first published photo in Trains had featured this Mass Bay RRE excursion (that had operated from Boston to Brattleboro, Vermont on February 25, 1984). The photo that appeared in the magazine was an angle of the Amtrak F40PHs on the south end of the train in the Brattleboro yard; by contrast these views were of the train shortly after it arrived at Brattleboro station. All were exposed using my old Leica 3A with 50mm Summitar. Although it was sunny at New London, by the time we’d reached Brattleboro it was raining very hard. I got soaked making my photographs. At the time I was senior at Monson Jr.-Sr High School, and David P. Morgan was still Trains Editor-in-Chief. Ironically, the original negative that was published in Trains, remains among my missing photographs. Hopefully it may resurface one of these days. This pair of images were from my ‘out-takes’, and I only recently rediscovered them. Tracking the Light will continue to post everyday! Sunrise on the former Chicago & North Western. 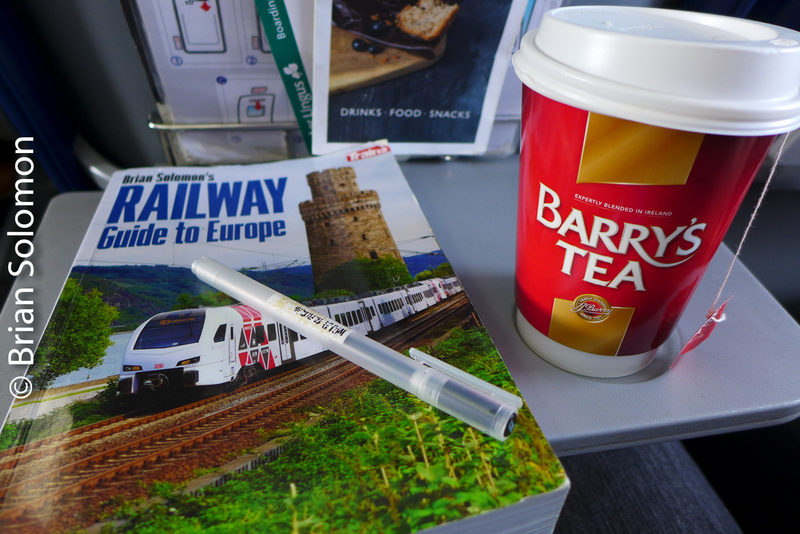 I was traveling with Dean Sauvola. Just before sunrise on October 22, 1995 we paused at a favorite grade crossing near Colo, Iowa where I made this image (among others). Rails to the horizon offer the classic textbook illustration of perspective. Exposed on Fujichrome using a Nikkormatt FTN with 28mm Nikkor AF lens (focused manually). Exposure calculated with a hand-held Sekonic Studio Deluxe photo cell. A vertically cropped version of this image was featured in August 2008 TRAINS Magazine, and again at the end of a special TRAINS issue commemorating photography.